Update – Read about the added features in Divi 2.5 and 2.6. Version 2.7 is under development and will be launched soon. 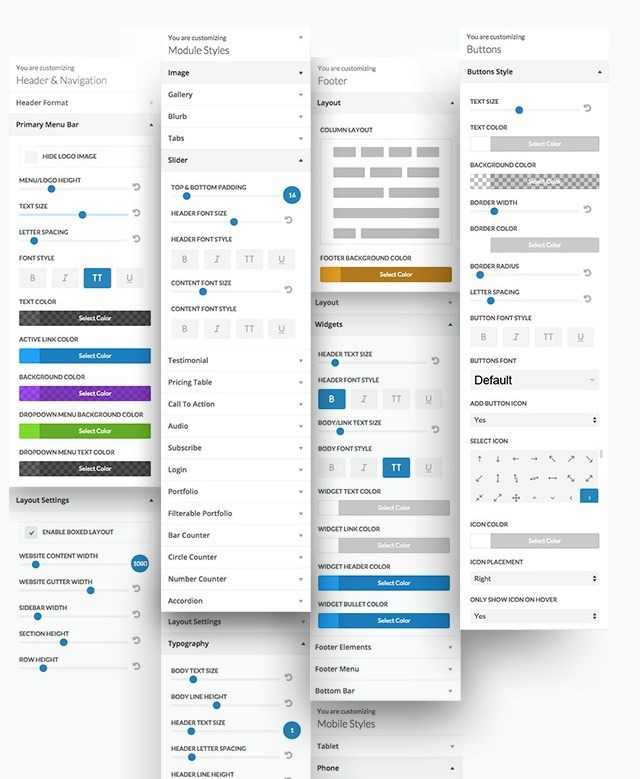 I have been hunting for layout builder WordPress plugins and themes for over three years and have tested more than 10 including Visual Composer, Beaver Builder, iTheme builder etc. Recently, I came to know that Divi 2.4 has been launched and I visited Elegant Themes blog to know what is new in this new addition. To be very true, I was expecting just another version of Divi builder with some neat new features added to it and most others might also be expecting the same. I started reading the news. And you know what I found? 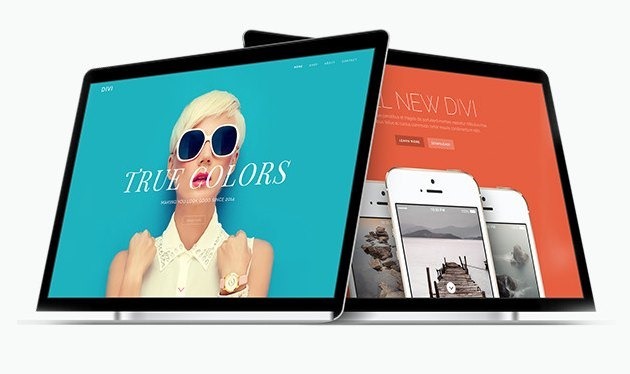 Elegant Theme Developers and designers have put their hearts and souls into this version of Divi. The more I read, the more I grew mesmerized and fascinated with the countless new features added to this theme. Before I proceed with a throughout and comprehensive review of Divi, I want to tell you that Divi 2.4 has turned out to be the best alternative (layout builder) to Visual Composer, beefing itself up with more than 1000 module customization settings. Apparently Divi team seems to have worked so well to reconstruct theme grid to make it more flexible and fluid. Now Customizer comes with additional optional for modules such as custom content width, background, text spacing, height, and size, etc. Customization options are available separately for different theme elements such as Header and Menu, Different modules, Sidebar, Post content, Footer, Buttons, etc. Now we can adjust sidebar and content width with a pixels value slider. We can also customize section and row width, height too. Custom content and sidebar width is a must have feature if you are running a blog or magazine website. In Divi 2.0 sidebar width was not enough, and no option was available to increase sidebar width other than adding a custom style. Now anyone, without touching the code, can achieve desired width for sidebar and content. In addition to immense fluidity, Divi 2.4 also offers custom website width and we can change website width anytime to match it with the width for large displays. Width can be increased up to 1920px. This larger width will not affect small display websites because of perfect responsiveness of its layout. Conditionally hide navigation – If you want to give some of your content extra exposure such as an advertise, call to action or anything else, you can show it on the top of everything and navigation remains hidden until visitor scrolls down the page. 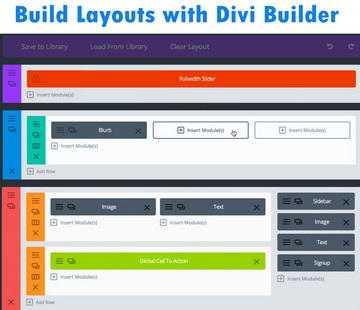 All the features added which were missing in Divi 2 make layout building more advanced. 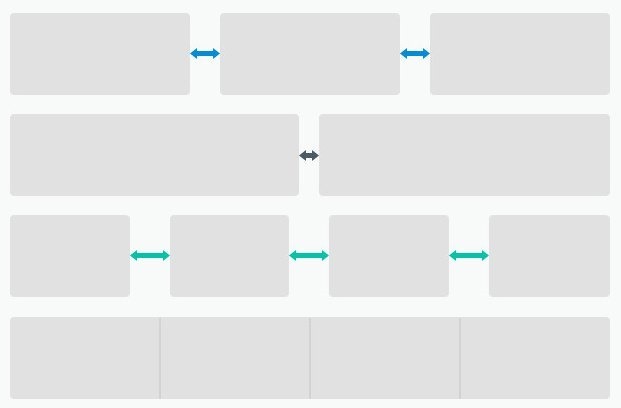 A few months ago we wrote to Elegant Themes that they should add custom background, margins, padding and borders option for row, section and modules and lo, making it all a reality, they have not only added all these requested features but also added ingeniously other layout customization options beyond our expectations such as equal height for columns, custom elements spacing for rows, sections and modules. Now it is in your hands to add desired spacing, padding and margins for different elements. Customizing text style of different parts of your website is one of the most essential things and no website can look gorgeous and professional without proper text styling and formatting. 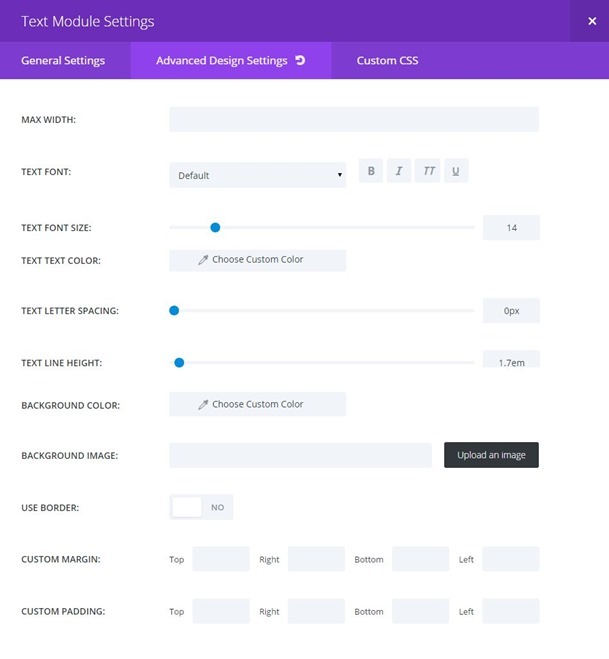 Divi, now gives you extra control over text customization. 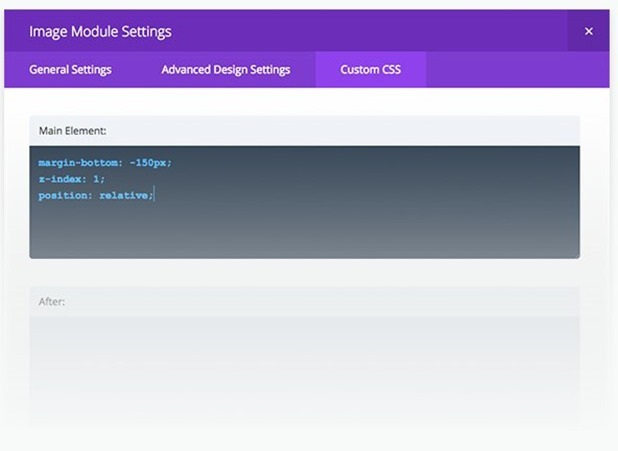 You can customize the text for your header, navigation, footer, body and even for any module. 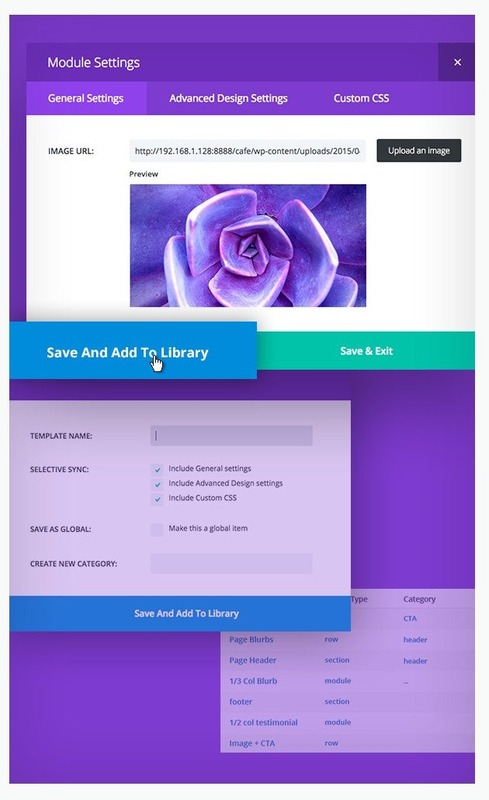 Divi Library is a place where you can organize your saved page templates (created with Divi builder), modules, sections, rows etc. 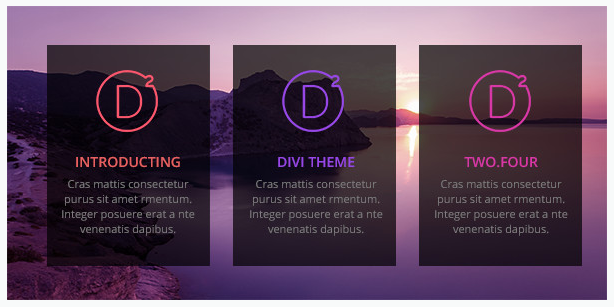 Divi library keeps all custom settings of a page template, row, section or even module. You can import and export Divi library between two or more website projects and thus save a lot of time building similar websites using Divi. The main thing of Divi library that manages to turn heads is that you can keep even a single module as content packs and you can load it inside a website powered by Divi or across multiple Divi powered websites. 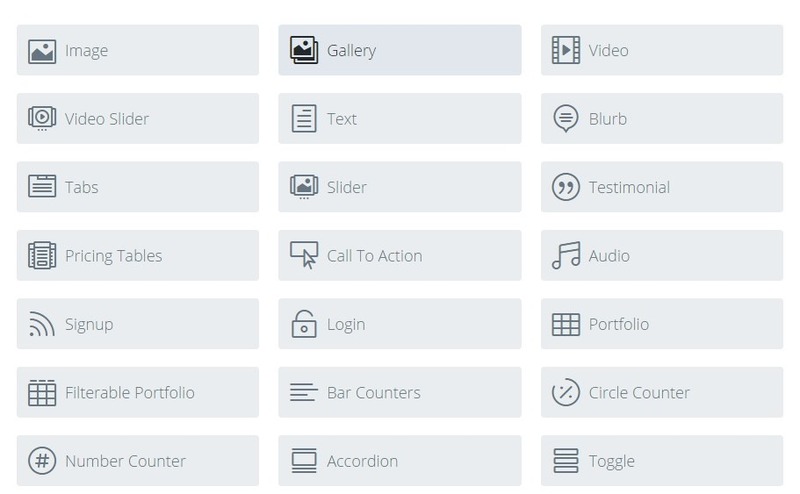 Without this feature, Divi builder would never have been so perfect. 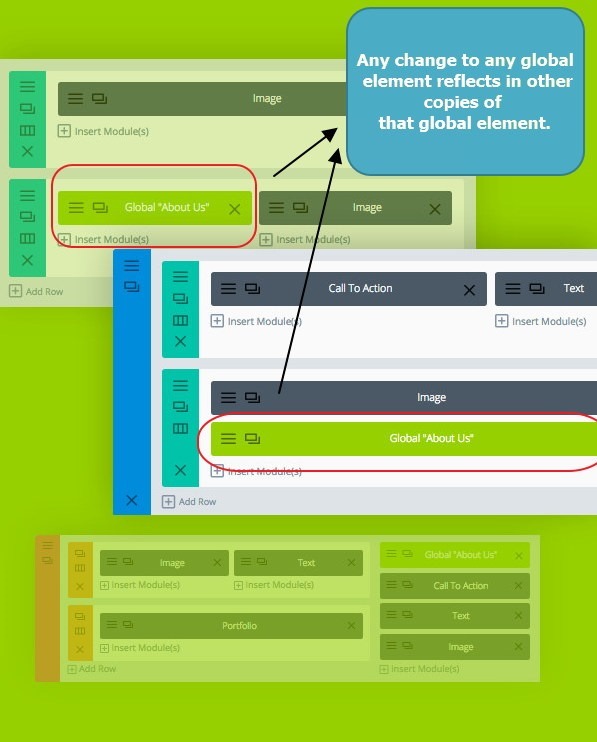 A global element works like a WordPress sidebar and when you make a change in global element, the change reflects wherever the global module is used. It works just like Visual Composer Templatera addon. Ironically, in previous versions of Divi, its page builder was available for only pages but in Divi 2.4, you can use it on your regular posts, too. 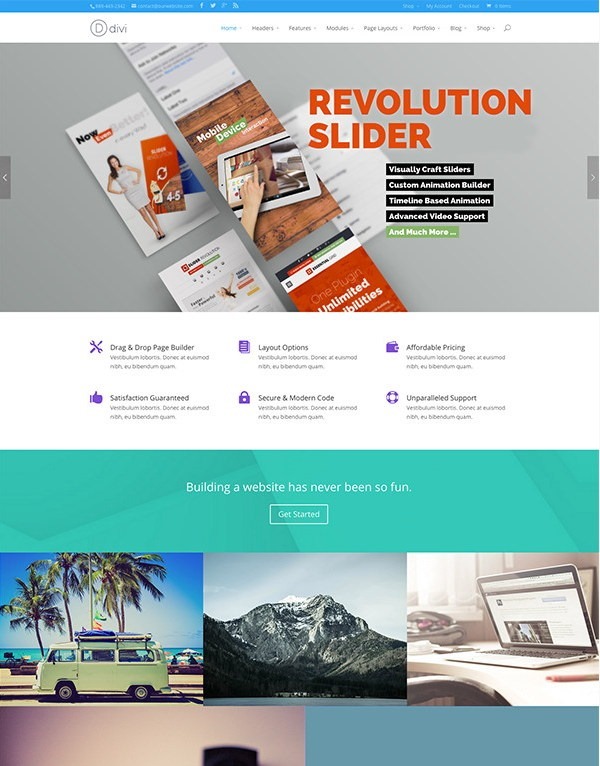 Now you can add your favorite Revolution Slider to your Divi powered website, utilizing code module. With code module, you are able to add custom code without any restriction. If you want to set Revolution slider up to the full width you can set a module to full width settings. 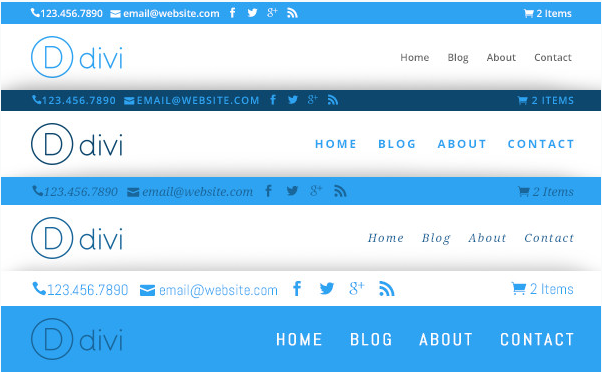 Now you can choose from among eight footer layouts, and also you can customize footer widgets header and body styling. With the help of button customizer, we can achieve any kind of button styling. 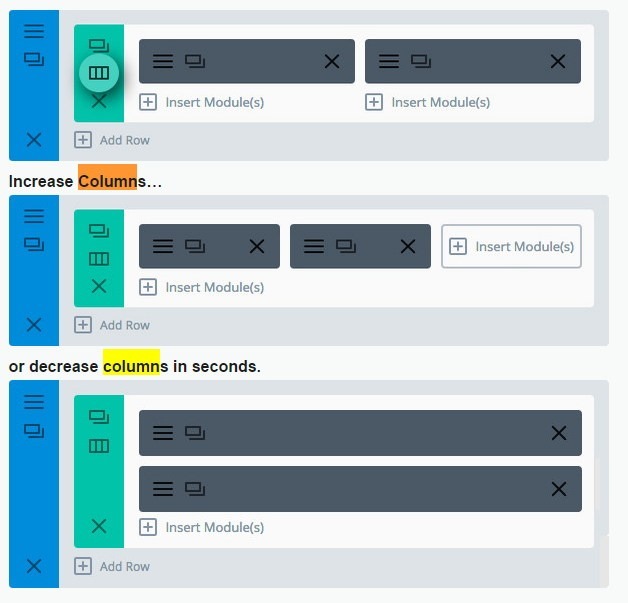 Right click controls to easily copy and paste modules on builder canvas. On clicking mouse right button, a menu is appeared with several innovative option. Revision System – Undo command is must have thing while you are working on your PC. So that you can rollback any change that doesn't suite your needs. Divi now features feature and you can restore saved revisions. You can redo, undo or restore any saved history version of your layout. Role Editor – It is a feature specially added for web designers who want to give custom access to their clients. With role editor, it is possible to restrict certain modules based on user role. You can also restrict theme options, page options, customizers for difference user roles. Preview any module – While working with your layout, you can now preview any module without leaving the back-end. You can also check responsiveness of the layout. Adjust module size / show/hide for different devices – From Divi 2.6, you can adjust module size and visibility for different breakpoints. Post slider module – Unlike standard Divi slider, where you can add your own custom images and text, Post Slider shows your posts in slides automatically. Comment module – With the help of this module, you can add comment section anywhere in your page layout. Also, this module provides customization options for the comment section. 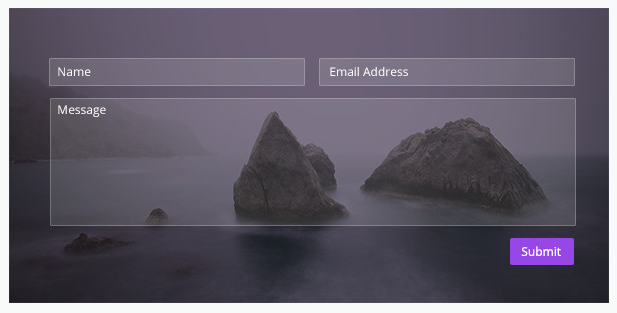 Contact Form module now offers drag and drop form building functionality. 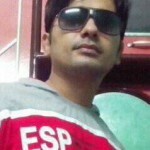 After using all powerful layout designer WordPress tools, I would say only Divi, Visual Composer, Ultimatum and Beaver Builder are the consummate tools and I too ended up with them. There was no true alternative to Visual Composer until Divi 2.4 came up. 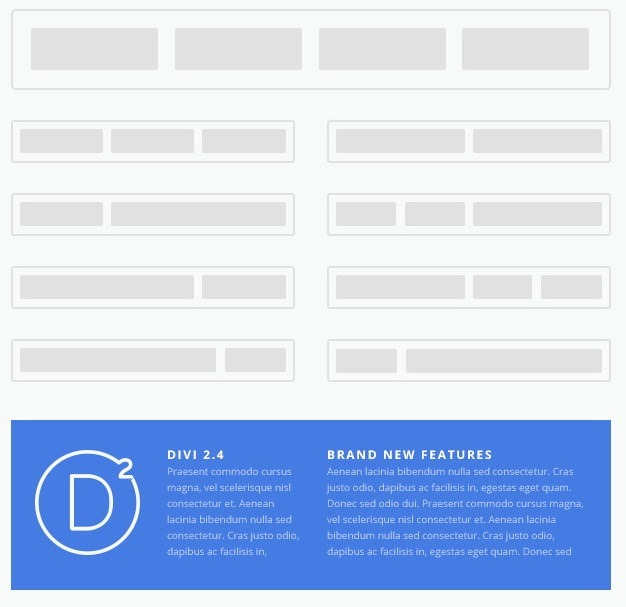 Divi, since version 2.4, has surfaced as a perfect layout builder tool for WordPress. 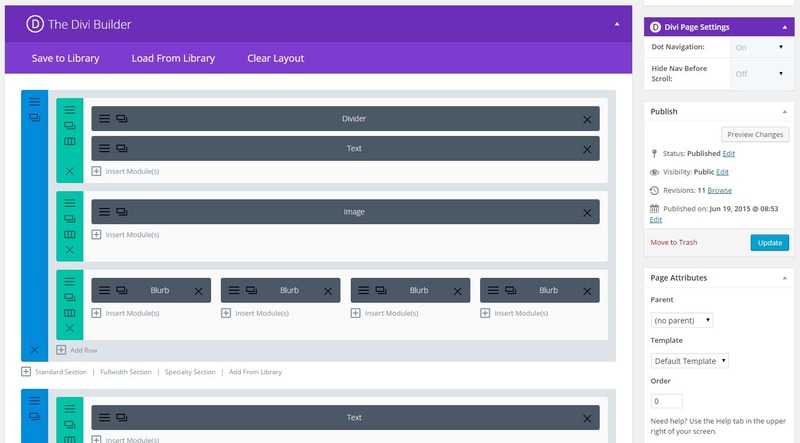 Divi builder is currently powering only Divi but Nick Roach, founder of Elegant Themes has clearly indicated the launch of Divi builder as a standalone plugin. Elegant Themes, the company, has put its card on the table, providing such an incredible update for its flagship Divi theme. Company founder and CEO, Nick Roach hinted at launching Divi builder as a separate page builder plugin that could be used with any WP theme. We can expect that Divi 3.0, now boosted with lots of more feature, would be triumphing over Visual Composer. I’ve not had time to look more closely into 2.4, but at present I’m a very happy BeaverBuilder user. One thing that does concern me (And I would be interested in your thoughts) is having so much code in the theme/builder to accomplish all of it vast array of features, would this impact performance ? One thing I am really surprised is that you still have to resort to ‘hacks’ to change the content of the footer. Also (I think?) – Divi still does not allow you to have the site title and tagline as text – a logo is the only option. Beaver Builder is one of my favorite and I am happy that you doing great with this awesome layout builder plugin. You are right, Divi currently doesn’t offer an option to turn logo into Text title and tagline. But I am sure that Elegant Themes support can provide an easy hack to do so. They are extremely friendly to their customers.